I’m in my 20s, just starting a new job and I really want to get on the road to financial security. What’s the best way to begin? Despite all the attention given to the stock market’s short-term fluctuations, for most people achieving financial security is a long-term affair that begins with holding down a job and earning a paycheck. So in a sense you’ve already taken the first step toward your goal. But work alone won’t do it. The security that a paycheck provides is, at heart, temporary. It lasts only as long as the job lasts. To attain financial security that won’t disappear if your job does, you also need to turn your income into wealth. 1. Live below your means. This may not be a very welcome message in a world where immediate gratification is the rule and where lenders are falling over themselves to shower you with loans if that what it takes for you to live the lifestyle you want but can’t afford. But if you spend every cent you make (or more), you’ll never achieve true financial security. Which is to say that, one way or another, you’ve got to save on a regular basis. My suggestion: Start out with a goal of saving at least 10% of your income each year and, as your income rises, boost that figure by a percentage point or so each year until you work your way up to 15%. Follow such a regimen over the course of a long career and you can end up with a six- or even a seven-figure nest egg by retirement. The most effective way to ensure you hit your savings target is to put your savings on autopilot by signing up for a 401(k) or similar workplace retirement savings plan that automatically deducts money from your paycheck and puts it an investment or savings account before you get a chance to spend it. Such retirement savings plans also offer tax-advantages that can leverage your savings effort. If your company doesn’t offer such a plan, you can sign up for an automatic investing program that transfers funds from your checking account to an IRA account or even a regular taxable investment account at a mutual fund or other investment firm. 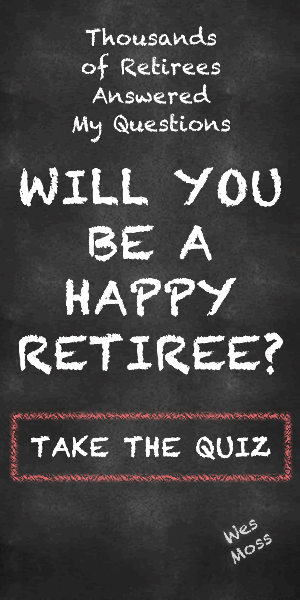 Check Out: How Can I Feel Less Guilty About Spending My Savings In Retirement? As a practical matter, it’s also a good idea to gradually accumulate three months’ worth of living expenses in a savings account or money-market fund in addition to your other savings so that you can cover emergencies or unanticipated expenses without dipping into investments you’re holding for the long term. The point, though, is to get into the habit of saving on a regular basis. Otherwise you run the risk of finding yourself on a paycheck-to-paycheck treadmill that makes it difficult, if not impossible, to build real wealth. 2. Keep it simple. Read the financial press or listen to investing pundits, and you get the idea that to be a successful investor you’ve got to invest the money you save in a dizzying smorgasbord of investments, the more complicated and arcane the better. But do you really have to own expensive fixed indexed annuities that purport to offer the upside of stocks while limiting the downside or a “sector rotation” ETF that hopes to enhance results by moving in and out of different segments of the market? I think not. If anything, the more you expand into niche investments and far-flung areas of the markets, the more you run the risk of “di-worse-ifying” rather than diversifying your portfolio. A more effective approach: Build a straightforward portfolio of broadly diversified, low-cost index funds and ETFs that jibes with your tolerance for risk and that allows you to participate in the long-term gains that the stock and bond markets have historically offered. And once you’ve created a stocks-bonds mix that’s right for you, you should largely leave it alone except to rebalance periodically to restore your portfolio to its original proportions. You can easily create a simple-but-effective portfolio on your own by revving up this risk tolerance/asset allocation tool. But if you’re not comfortable doing this on your own, there are a number of low-cost advisory services that can build and manage a portfolio for you for roughly 0.5% a year, if not less. 3. Stay the course. Getting on the road to financial security is important. But it’s even more crucial to stay on it. Inevitably, there are going to be times throughout your life when you may feel tempted to take the exit ramp, so to speak. Faced with a job loss or a period of unexpectedly high living expenses you may feel pressure to abandon your savings regimen or even dip into the savings you’ve managed to set aside. Similarly, extreme market volatility like we’ve seen this week or an outright market crash might lead you to wonder whether you should jettison stocks from your portfolio in favor of less volatile investments. But when you feel most compelled to abandon your long-term strategy is precisely when it’s most important to stick to it. Those are times you have to call on non-financial attributes like resourcefulness and perseverance, which can help you find ways to continue to save even as other financial demands make it difficult or adhere to your investing regimen during times of severe market stress. In short, many times achieving financial security isn’t just a matter of making the right financial decisions. It’s having the grit and determination to stand by those decisions in challenging times. I’m not saying that following the three steps I’ve outlined above is the only route to financial well-being. Nor can I guarantee that by following them you’ll achieve the economic security you seek. There are too many risks, uncertainties and unknowns in the real world to offer any such ironclad assurances. But I can say that if you don’t follow a plan along the lines of the one I’ve outlined above, the road to financial security will likely be a lot bumpier, and you’ll run a higher risk of not reaching your destination at all.